I searched on all the other websites that stock New Look clothing and still nothing came up. I was genuinely so gutted that I hadn’t spotted it in store sooner. Not long after I finally gave up all hope of ever finding it, an email popped into my inbox about Amazon Prime day and I thought about whether I really wanted to sit searching through all the stuff that I didn’t really need. Curiosity got the better of me though and boy am I glad it did because as soon as I clicked through to Amazon Prime’s deal page, there they were! 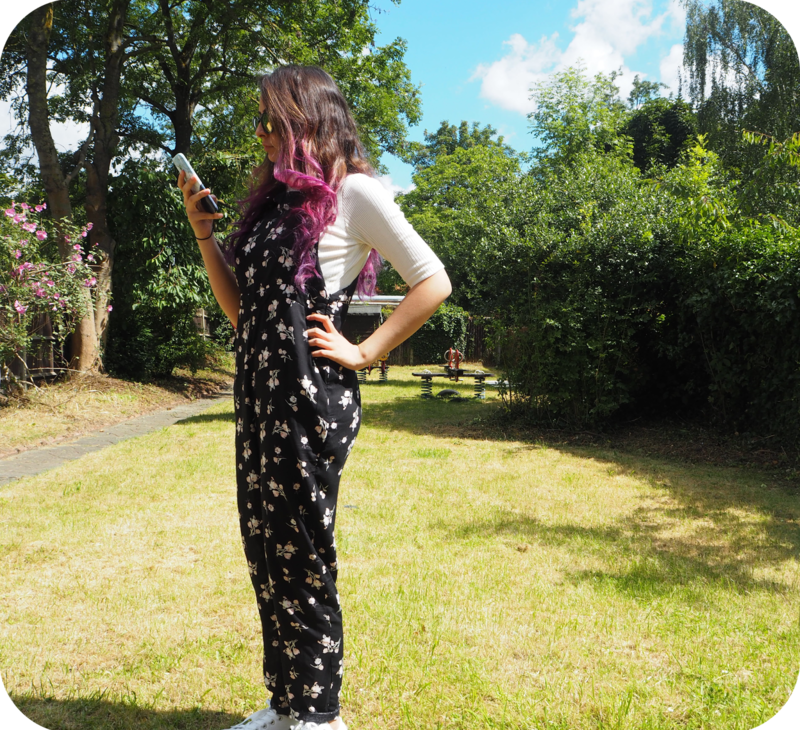 The floral dungarees! In every bloody size! Currently I’m in between a size 10 and a 12 which is the most awkward size you could be. Since I wasn’t entirely sure how they would fit it took me a while to decide which size to get. 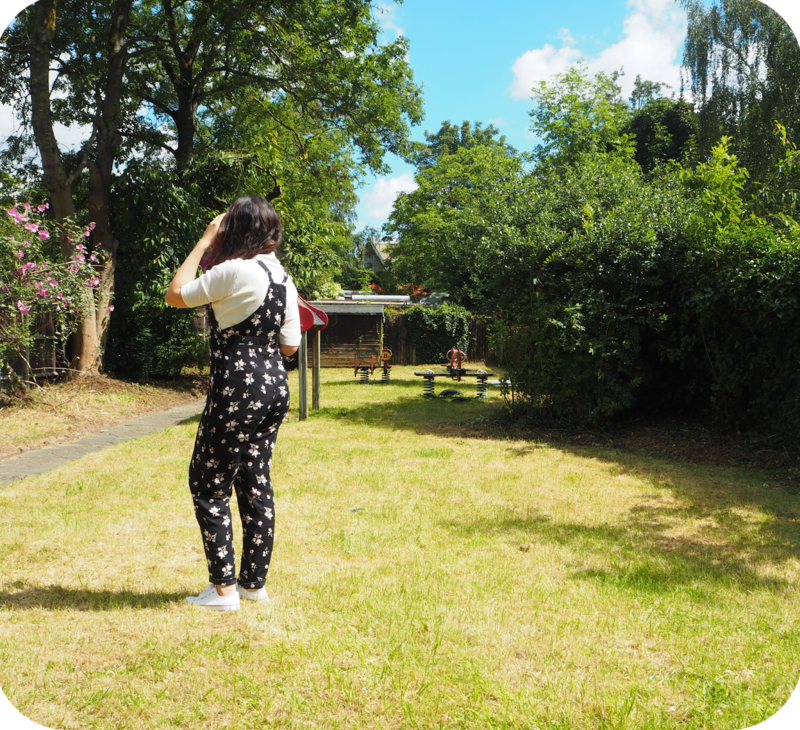 I didn’t really want to wear dungarees that were really tight on my legs because with my pear shaped body, I feel like a slightly looser fit looks better on me. With all that in mind, I decided to size up and go for a 12. They arrived the next day and I was pleasantly surprised that it was actually really thin cotton material as opposed to denim. The legs were a little bit longer than I like on my clothes so I rolled them up from the bottom. By the time I had walked to the bottom of the road the trousers had unrolled themselves so I have now tacked them with a simple stitch. 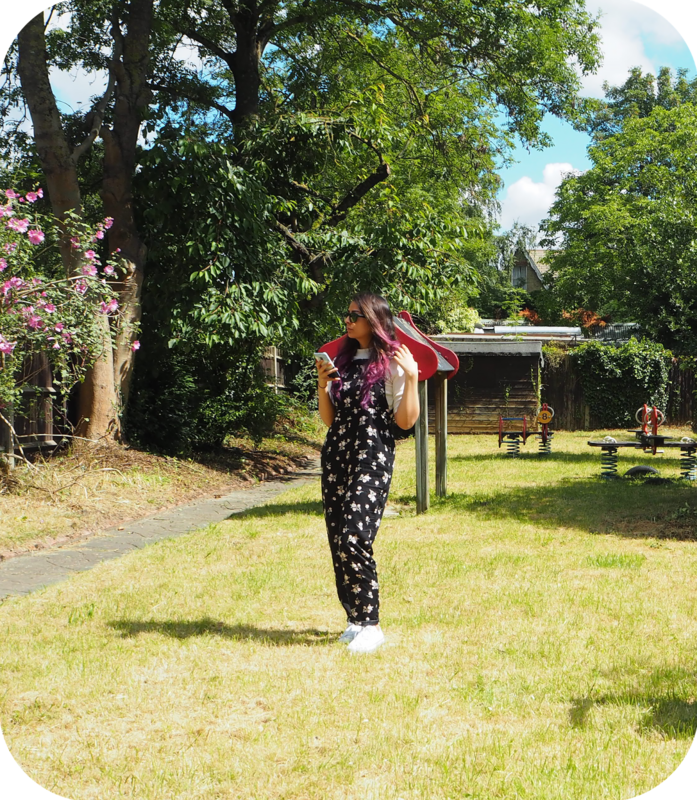 I teamed it up with this cream high neck top which is also from New Look. Finished with white converse of course. I’m currently going through a phase of finding out how many outfits in my wardrobe go with my converse. I’ve yet to find an outfit they don’t go with! 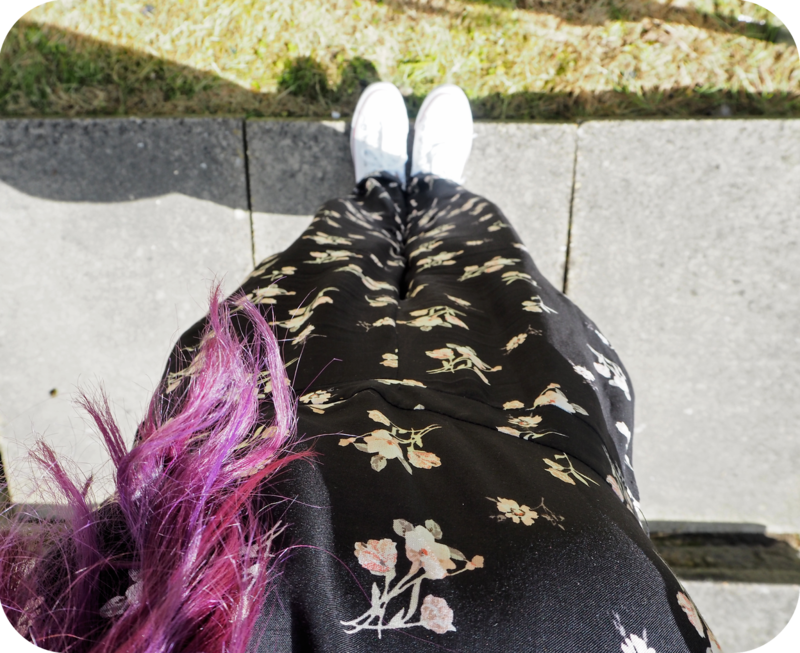 I just wanted to add that I’ve suddenly found a boost in confidence in regards to fashion blogging. I’ve always wanted to go ahead and pose and post more but my self consciousness has gotten the better of me. I haven’t yet found my go to poses or a photographer at this point but it’s a work in progress. I’m a work in progress. For now though, I feel like I’m ready to move my blog a tiny bit further and work on better content. I’m loving how my recent beauty photo‘s are coming out and can’t wait to keep on growing.